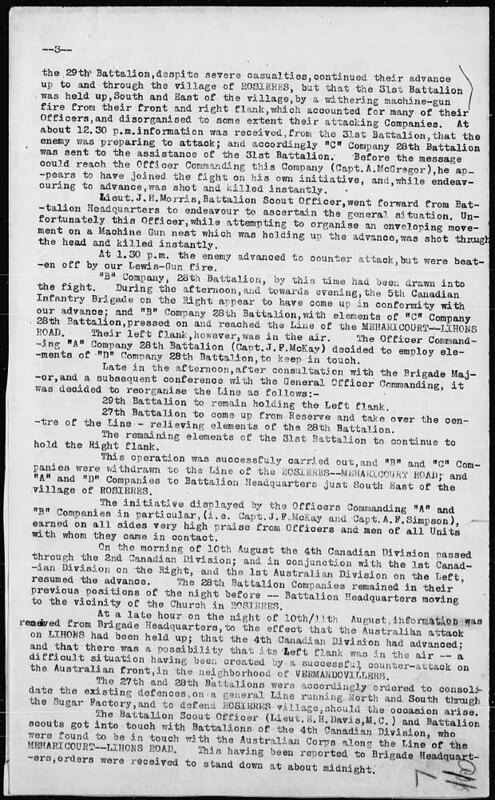 13 May 1915, 28 Bn parades to see off 27th (Winnipeg Bn) as they depart for England, all units of the Western Canadian 6th Brigade (27th, 29th, 31st) depart for England leaving the 28th behind. 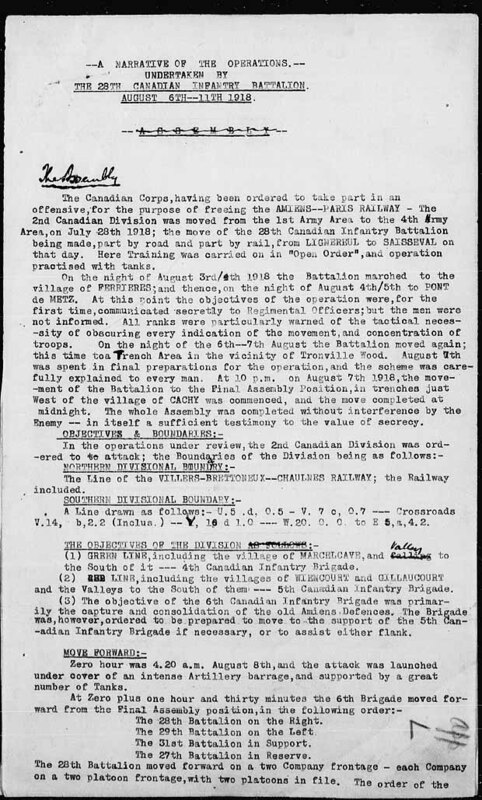 28 May 1915 4pm, 28 Bn arrives in Montreal, paraded for Duke of Connaught the Governor General and Sam Hughes. 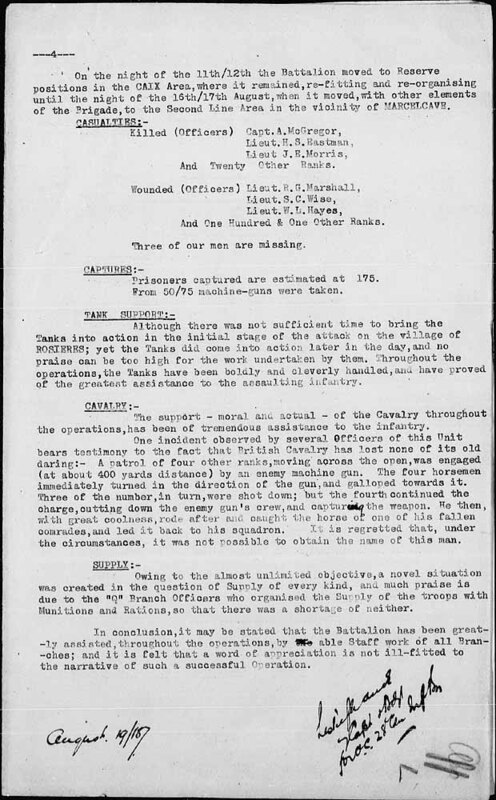 28 May 1915 6pm, 28 Bn Boards Northland. Tea is served. Routine on the voyage a.m. Physical training, p.m. boat drills with 1400 inspection of life belts. Prior to July 1, 1915 28 Bn moved to Otterpool nearby. 16 Sept, orders to move to the coast and embark for France, March to Shornecliffe known as the “Retreat to Moscow” carried out. Biv at Sir John Moore’s Plain near Shornecliffe Barracks. 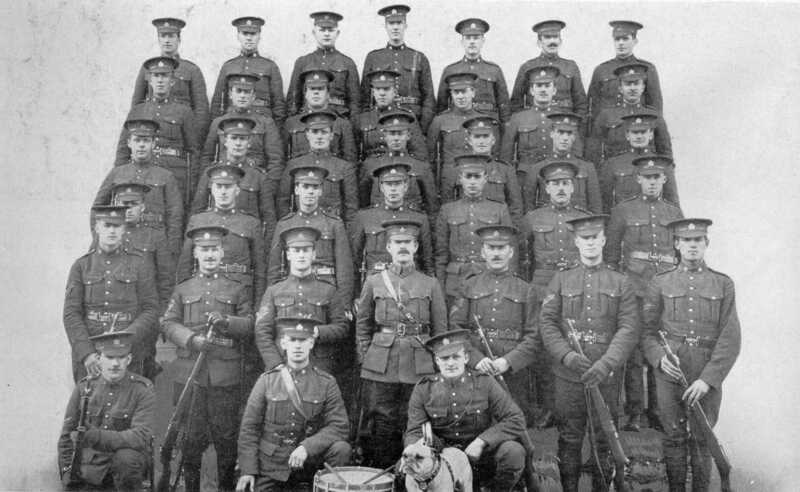 Prince Albert Volunteers existed from Apr 1912 onwards. 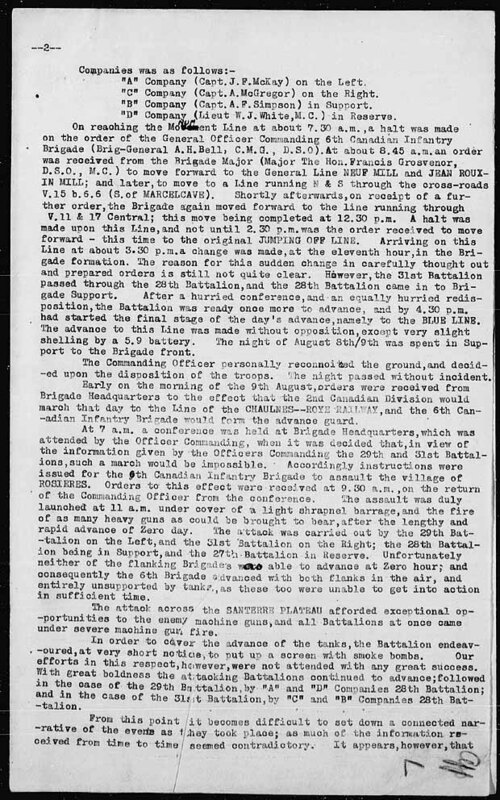 Photograph Base Company, 28th Battalion: Specialty Section; Photos.